167,23 € прибл. 12.035,86 руб. A precise clip-on microphone, a high-quality external signal converter and simple handling: ClipMic digital is your entry into the professional league for mobile recording with iOS devices (iPhone, iPad, iPod). Now Your mobile device can be used to deliver high-quality recordings – clear, understandable, with no ambient or interfering noise. Now there is ClipMic digital. It combines the benefits of a lavalier microphone with the benefits of sophisticated signal conversion. And it comes with all the apps you need for simple operation. It is simple, easy, and intuitive and is now available for iPhone, iPad and iPod touch. The Mobile Recording Series has been developed by Sennheiser and Apogee. 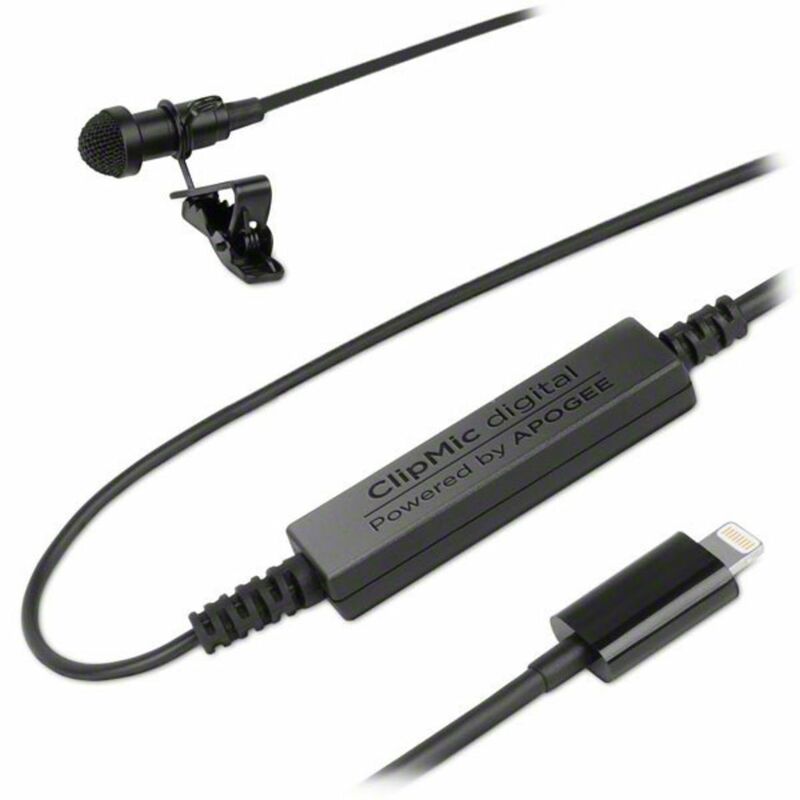 As a reference brand in the high-end studio world, Apogee delivers the unmatched technology to convert the signal for ClipMic digital so that the result even surpasses CD recording. The Sennheiser ME 2 Digital microphone securely shields ambient noise and focuses completely on the next sound source – whether speech or song. Simple to attach, including wind deflector and highly robust construction. And with the MetaRecorder, you control your recordings with just a few taps of your fingers. The files are then available via Dropbox, iTunes, or for emailing. With the Maestro app, on the other hand, you can take full control of the ClipMic digital’s finer settings.